It’s almost been ten years since LittleBigPlanet released, a PlayStation 3 exclusive that would record a 95 on Metacritic and eventually go on to sell around 4.5 million units as of 2010. It was a success, but like so many of Sony’s games at the time, its numbers didn’t really match its reception. Uncharted 2: Among Thieves would follow in 2009, winning a string of Game of the Year awards and cementing Naughty Dog’s status as one of the world’s best developers. It took almost a year to sell 3.8 million units. The Japanese giant, rebounding from a disastrous console launch, would go on to release a string of high-profile exclusive games throughout the remainder of the generation: God of War III, Heavy Rain, Killzone 3, inFAMOUS 2, Twisted Metal, Starhawk, and many more. Some did well, others less so – but none of them truly set cash registers alight. Sony would eventually sell over 80 million PS3 consoles, but while the platform holder’s output was undoubtedly respected by core gamers, it never really landed any huge hits. It was hubris from an executive who’s never particularly been subtle, but it’s a snapshot of how weakly PlayStation’s first-party games performed; they were well-liked by fans and critically acclaimed, but it wasn’t until The Last of Us that it finally managed to turn things around. Naughty Dog’s survival horror sold eight million units in a year, and now stands at 17 million units with its PS4 remaster included. Sony has turned critical success into commercial success this generation, and its first-party franchises are bigger than they’ve ever been. Uncharted 4: A Thief’s End, the latest edition in a franchise that had been routinely outsold by the likes of Halo and Gears of War, sold 8.7 million units in six months; Horizon: Zero Dawn, a brand new IP, eclipsed 7.6 million units in a year, and; God of War amassed five million units in a month. These are staggering statistics. The PS4’s popularity has surely played a part in this stunning transition, but we reckon Sony’s track-record is also starting to pay. The company, as a publisher, has spent ten years building its first-party brand as a signal of quality, and while there have been misses like The Order: 1886 along the way, it’s largely been consistent for a decade now. That pays off, and when the good review scores almost inevitably roll in, it creates consumer confidence. But the company’s also vastly improved its marketing approach. One of the chief criticisms of the firm in the PS3 days was that, even when it had scrapped its David Lynch-esque marketing campaigns, it still never really put enough weight behind its games. 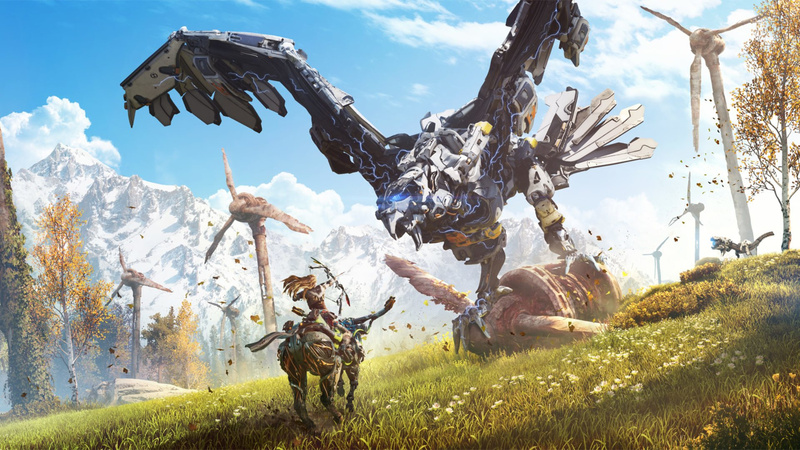 But it’s been borderline perfect this generation: look back at how Horizon: Zero Dawn was expertly introduced, and how Sony would go on to canvas television, magazines, and conventions with the franchise to ensure people knew about the game. While it’s hard to get excited about sales numbers and profit sheets, the organisation deserves this success because of the creative risks it’s taken and continues to take. 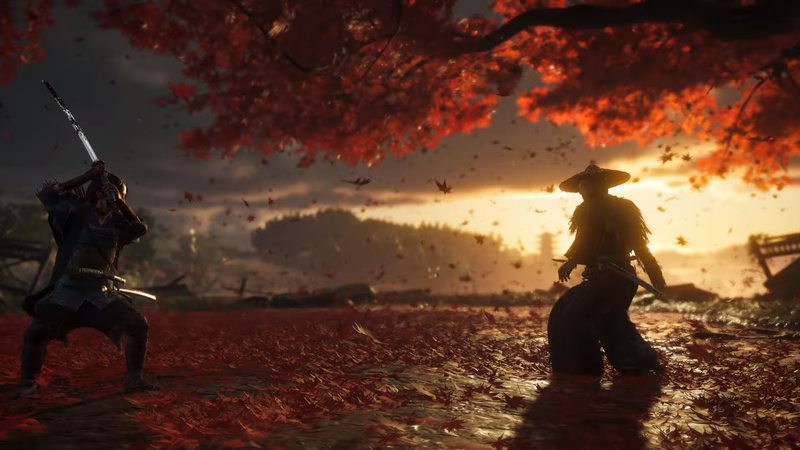 Sucker Punch could have rested on inFAMOUS, but it’s moved on to Ghost of Tsushima, and who’s to say that won’t be PlayStation’s next big record-breaking success? The Last of Us didn’t really need to exist, yet the platform holder put its faith in Naughty Dog, and now its successor looks likely to be one of the biggest hits of the gen. Unless you were around in those PS3 days, it’s difficult to illustrate just how much of a turnaround has occurred; Sony’s games were good, but they were not particularly popular at all. That couldn’t be less true anymore, and it bodes well for the future, too. 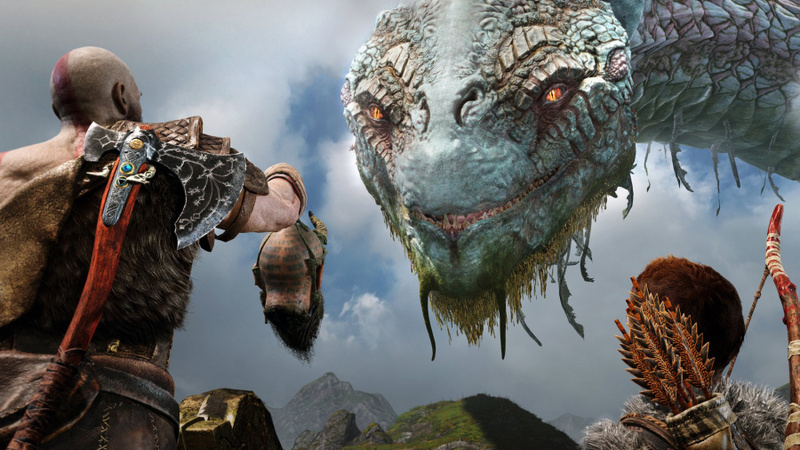 When the PS4 was introduced, it was done so with the Helghast and Delsin Rowe taking centre stage; the PlayStation 5, meanwhile, will almost certainly see Aloy and a rejuvenated Kratos under the spotlight. What a difference a generation makes, eh? What do you think has caused Sony's first-party to explode over the past few years? Have the products improved, or is it the result of good marketing? Maybe you think it's a mixture of both? Go through the gears in the comments section below. Like the article alludes it's very easy to forget how the tides have turned within the space of a generation. That tweet from Greenberg will always be priceless, though. What a baby. @ShogunRok And at the time he spoke the truth. Plus you guys love a little ribbing on the competition yourselves so, exprct it back? Either way, impressive sales all around. Definitely the highest selling first party titles in the industry by skme margin amd the most beloved. @ShogunRok Grow a pair and take it like a man. Aaron Greenberg is a knob. I want to be able to trip those tallnecks in Horizon AT-AT style! Make it happen! @Knuckles-Fajita Wake me up the next time Shawn Layden and Shuhei Yoshida take to Twitter to crap on Xbox's abysmal first-party output. Think I'm going to be sleeping a long time. Just so long as it doesn't mean they rest on their laurels and continue pushing themselves. I've always admired Sony's ability to introduce new IP and give us major characters. I really don't intend for this to seem like a shot at Microsoft and Nintendo, but when's the last time they introduced MAJOR characters that people identify with the brand? Over on PlayStation, you've got Ellie, Joel, and Aloy in the last 5 years alone. Before that, Sackboy, Nathan Drake and Kratos in the mid to late 2000's. Of course we have the trio of platformers on the PS2 in the early 2000s. Nintendo hasn't really introduced any major new IP like Mario and Zelda or characters in my lifetime (I was born in 1996). And Microsoft introduced Master Chief and Marcus Fenix in what, 2001 and 2005? I'm not arguing the quality of their games, but as far new IP go, it's not even a conversation. It’s interesring because as a gamer I don’t always follow sales numbers closely and I have trouble putting the financial things into perspective. I would have guessed Uncharted 2 performed much better than that. I’m glad that there have been a good number of remasters and remakes to make up for poor sales last gen.
How much did Halo 3 sell? I mean. God of War 3 was a big success. It did so well, the ps3 was out of stock for quite some time in the US. @3MonthBeef They look like solid games, not my cup of tea but they also don't really fit into the point I was making. I give Nintendo credit as they have been trying to introduce some new stuff the past few years, but even if I grant you that, what was new before Splatoon? @naruball That tweet was a few months after God of War III launched, so a bulk of its sales aren't factored in. Sony has been nailing it with their first party exclusives lately, so they deserve this success. @Th3solution It did - but the figures quoted to show that it was a 'slow' seller that even after a year, it had amassed just 3.8m but did go on to sell over 6m. I loved Uncharted and bought them at launch but it seemed like a lot were writing it off as a Tomb Raider wannabe - albeit a good looking Tomb Raider but there seemed to be a lack of enthusiasm - style over substance and originality. Killzone too was often seen as the Halo wannabe. It seemed that there was a lot of 'rejection' for a lot of PS exclusives because they weren't 'original' and more like Sony trying to make their Tomb Raider, their Halo, their Devil May Cry (God of War) etc rather than making something 'original'. As for why they have been much more successful this generation could be down to the better marketing but I think a lot of it has to come down to the 'general' market shift away from Single Player campaigns too. With the trend moving towards 'online', service based gaming and even those few SP games adding in micro-transactional content, Sony's exclusives stand out against that - give gamers the SP content that they obviously want. You only have to look at the games that released in 2009 that Uncharted 2 had to compete with and you will see Arkham Asylum, Assassins Creed 2, Dragon Age: Origins, CoD:MW2 (I know its an MP game but people were excited for the campaign after MW), Borderlands and was also the year Left 4 Dead 2 released. Months later, you also had games like Bayonetta, Darksiders, Mass Effect 2, Bioshock 2 and Just Cause 2 so the SP games just kept coming. @Octane I don't really consider it a tentpole franchise for Nintendo. My comment is primarily talking about major faces for the company. That's why I didn't mention Bloodborne or Gravity Rush with Kat for Sony (she's huge here! but niche on a wider scale). I think my comment is going to get all misinterpreted, but 🤷‍♂️. None of those are as big as Mario or Zelda, but those two are legendary franchises that have been around since the early days of gaming and will continue to live on as long as Nintendo is making games. It'd be like discrediting whatever Disney has made in the last fifty years because none of those characters will achieve the sort of cultural permanence that Mickey Mouse and Donald Duck have enjoyed. In general, though, I do agree with your assessment: Sony continually develops new I.P. to represent itself over time, whereas Nintendo repurposes the same characters and broad ideas in various ways. And both approaches are fine, as they play to the strengths of each company. @Ralizah Not really a criticism but an observation. Look I know the reception Super Mario Odyssey and Breath of the Wild got so their approach is obviously working for Nintendo and I'm not saying discredit anything new that they create because it won't hit Mario and Zelda status, nothing ever will, on any console. I just don't think there's been any new faces for the company, which they can introduce with their talented first party. And look I try to be consistent, a series like Uncharted has ran its course, and I really hope there isn't a new game. Ditto for a series like Ratchet & Clank, I just don't like playing the same series for too long, and I believe my past comments reflect that. But again, my personal opinion, obviously not speaking for the majority. Spider-Man is going to be big business for Sony, isn’t? Their First-party is firing on all cylinders. Each release is better or equal to than the last. The success is well deserved. It’s crazy how great the Sony exclusives are. Poor Aaron Greenberg and all the MS team. they are really desperate seeing Sony delivering big hits every time. They are trying to counter it with f2p lazy titles and pushing their cross-play agenda to improve the poor numbers of xbox. @DLB3 Well, in that case just Splatoon I think. I'm fine with them experimenting a bit more. I wasn't a big fan of the latest Zelda, I think I would've preferred a new IP with new gameplay ideas instead. that quote from greenberg was specifically (and rather selectively) based on US numbers, where halo 3 sold about 70% of its copies. it's not close to being true worldwide. whilst the x360 enjoyed more success in europe than the x1, MS has struggled in the old world for a decade or more..
whilst it's great PS exclusives are racking up impressive sales numbers lately, it doesn't take a genius to see that uncharted, horizon, god of war.. are all third-person adventures of varying types (shooter, rpg-lite, combat) and looking at the upcoming stuff.. spiderman, days gone, ghost of tsushima, death stranding, last of us 2.. they're all similarly third-person adventures. they'll probably sell like hotcakes, particularly spiderman and last of us 2, but i think there's a risk that people might get fatigued on too many of the same type of game. i think sony needs to diversify its portfolio a bit in the next couple of years.. i know dreams is totally left-field and unlike anything else, but sony should consider getting back into the first-person shooter market imo. it's not about competing with CoD or battlefield. far cry and ghost recon wildlands had a lot success relying on a campaign.. nobody bought either of those for their multiplayer. @naruball Well he included new IP of which new characters is not some unwritten prerequisite for declaring a new IP. And here I thought people cared about game mechanics. Love what Sony do. I really didn't play much outwith PES, GTA and tekken on ps2 and 3 but have really got into gaming so much more this generation. Sony first party and console exclusive games like last of us, the uncharted series, horizon, bloodborne and yakuza are so bloody amazing!! Still have persona, nioh, shadow of the colossus and god of war to go. Thank goodness these games are proving to be commercially successful as we will get more of them!! Great alternative to other models with microtransactions creeping into single player games or minimal content multiplayer games. Love my switch and what nintendo do too but for adult narrative, action adventure/rpgs Sony is where It's at!! Rooting for a couple of their more unusual games like dreams and concrete genie (Love how that game looks) to do well to encourage a bit of diversity to!! @Octane Experimentation is good, helps keep things fresh. The way you feel about Zelda BOTW is how I'm feeling about God of War. I mean, I wasn't one of those guys beating on my chest about how, "it's not GOW anymore" but I was really anticipating the game before release and I just wasn't really sold the way most people were. @3MonthBeef My later comments clarified what I meant a little more. I'm not saying no new characters means it's not a new IP, that's ridiculous. But people DO care about mechanics, I'm one of the weird ones that's just in the minority on the issue. But looking at Zelda and Mario last year, obviously they shouldn't listen to me. But I derailed the thread enough, I'll leave it at that. @3MonthBeef Since he talked about both characters and IPs, I asked if there were any memorable characters from those IPs. I assume Splatoon didn't, but what about Xenoblade? I heard great things about it so I wasn't sure if a strong character was involved. Good for them! Hard work really paid off and they didn't give up. Keep up the attitude Sony! @DLB3 That's interesting, because GOW is probably my game of the generation! But I didn't really care about the previous installments. Win some, lose some, I guess! @naruball Splatoon characters are mostly however you create them but the hostesses (singers) are I would be what fills that void. You have Callie and Marie from Splatoon 1 and now Pearl and Marina in Splatoon 2. I don't own or play these games they've enough of an impact for me to know who they are. I mean how holographic graphic live concerts does Kratos do? I'm not mocking I just saying that's one way to show something is popular if a visual representation is needed. I think we’re seeing how varied gaming is and comparison of merit is, frequently, a little redundant. Comparing Nintendo’s staple products to Sony’s is, for the most part, a little like comparing Nickelodeon to Netflix ... completely different tastes and directions but equally worth large amounts of praise all round. As someone who bought Halo 1 and 2 and never finished either, I've never really seen the appeal of the series. @Paranoimia Same here. I own an Xbox but I couldn't get into Gears of War or Halo. I do enjoy Forza Horizon and Ori though. @Paranoimia @GarySan - i played halo 1 and 2 on PC. 1 was ok, but didn't much like 2. played through about half of 3 on x360 before the console bricked, didn't really like it either. for me, i think the series resonates far more with american sensibilities.. it's probably why it's never achieved the same success in europe.